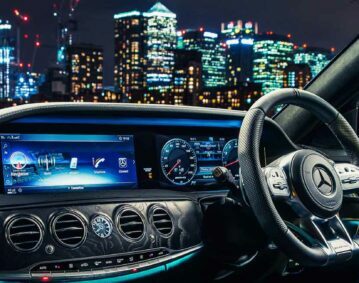 We offer a Chauffeur service to all the major train stations, both in Basildon & the following main-line stations: • Ebbsfleet Eurostar To Southend on sea • London St Pancras Eurostar To Southend on sea • London Stratford, To Southend on sea • London Liverpool St. To Southend on sea. Scott’s Chauffeur Service is an independent, family owned chauffeur driven car service providing luxury and executive cars to business and leisure travelers. 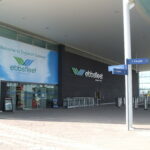 Today, our company has an established client base that relies on our services daily for airport transfers, business trips in london, financial roadshows, site visits, tour programmes, cruise ship transfers and meetings & events. 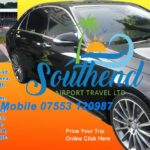 By hiring Southend airport travel you prevent the risk of losing your way because the service will guarantee you to be taken to all places you need to visit. The minicab drivers are used of doing this transfer are conversant with all the main attractions and important places, there is no risk of arriving at a wrong destination. 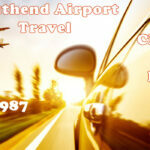 Prearranged airport travel will also help you save some money. 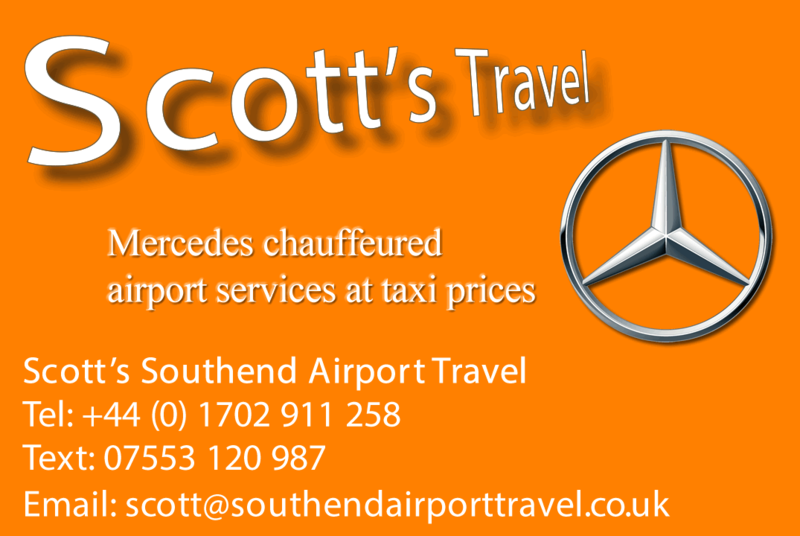 Scott’s airport travel service provide lower rate than common taxis and always have a great discounts, which will help you to avoid the risk of overpriced minicabs at the airport.